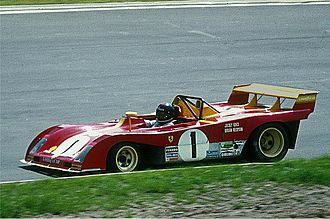 The Ferrari 408 4RM is a prototype car built by Ferrari in 1987. 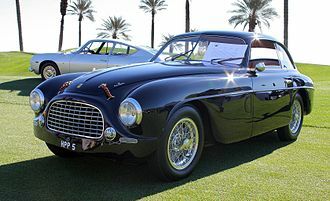 It was the first Ferrari to feature 4-wheel drive. Two copies were built. The first one, chassis no. 70183, was painted in red and was fitted with an all-steel welded chassis and was built in June 1987. 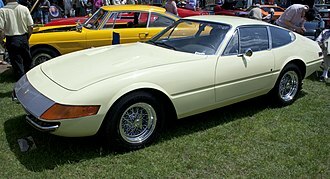 The second one, chassis no 78610, was painted yellow and had an aluminum frame bonded with adhesives. 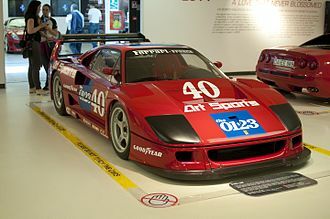 The second car was completed in September 1988 and is now exhibited at the Galleria Ferrari in Maranello. 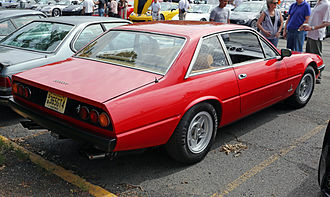 The model name was linked to the characteristics of the engine, with the 40 in 408 standing for its 4.0 L displacement, and the 8 representing the number of cylinders. 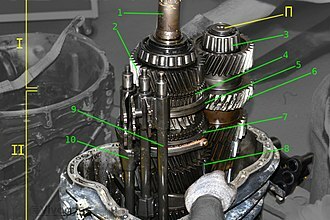 The abbreviation "4RM" stood for “4 Ruote Motrici”, meaning four-wheel drive in Italian. The 408 4RM was featured on the cover of Road & Track in December 1988. The 408 4RM is powered by a 90 ° rear and longitudinal mounted 4.0 L V8 that produces 300 hp (224 kW; 304 PS) at 6,250 rpm and 373 N⋅m (275 lb⋅ft) of torque. 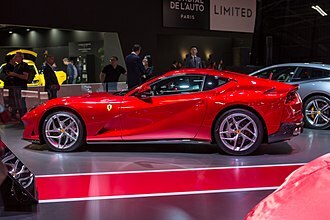 The engine has a compression ratio of 9.8: 1 and a bore and stroke of 93 mm and 73.6 mm respectively, bringing total displacement to 3 999.66 cm³ (4.0 L). The engine also features double overhead camshafts with four valves per cylinder, as well as Weber-Marelli fuel injection and dry sump lubrication. 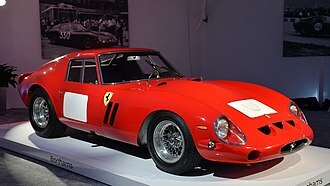 ^ "10 odd Ferraris we almost forgot". 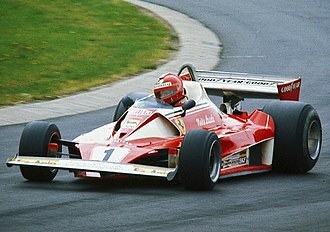 www.classicdriver.com. Retrieved 2018-09-23. 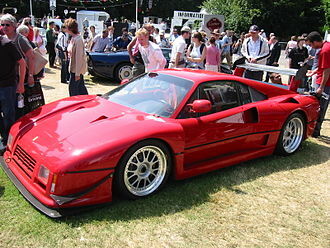 ^ "Did Ferrari's First All-Wheel Drive Supercar Become The Lamborghini Diablo VT?". 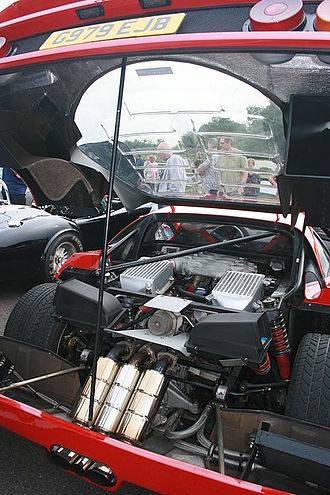 CarBuzz. Retrieved 2018-09-23. ^ Banovsky, Michael (2015-11-30). 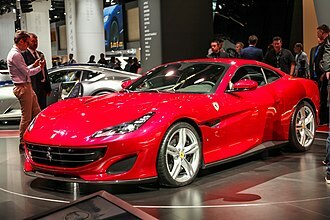 "What's Up With Ferrari's Forgotten All-Wheel-Drive Supercar?". Petrolicious. Retrieved 2018-05-14. 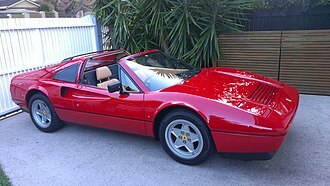 ^ "Ferrari 408 4RM (1987) - Ferrari.com". 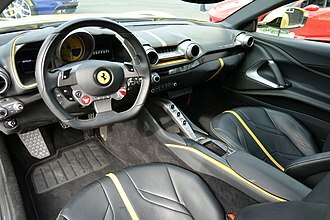 Ferrari GT - en-US. Retrieved 2018-05-14.